I find it very difficult to ask people (on Facebook and offline) to give to supposedly faraway causes like this, fully aware that we face our own fair of issues at home that require our giving and action. 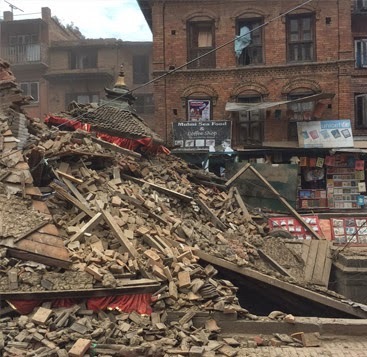 So, I'll ask you instead to spare a thought - and maybe a prayer - for the people of Nepal, many of whom have had their lives upended by an earthquake. And if you can, please give too. For every $ you donate, various corporations including Facebook will match your donation, such that your $1 will become $30 on average. A Piece for Mama -- Happy Birthday! Bring Back Our Girls --- Please!